Mediation is the process whereby an outsider is brought in to help parties determine the facts and come up with compromise solutions. It is often helpful where strong personalities or intractable issues are thought to have rendered further negotiations impossible without outside help. For example, after months of discussion, the Bullock Creek school board requested MERC mediation because, as Superintendent John Hill told the Midland Daily News, "We don’t feel like we’re getting anywhere." Connie Gillette: "We have gone through mediation and have found that the success of it depends upon the effectiveness of the mediator. A good mediator is someone that is respected by both sides, someone that can come up with creative alternative ideas and can be forceful and influential. That person needs to be able to be honest with both sides about the reasonableness of their proposals and help establish a middle ground where the parties can reach agreement." There are also times when using a mediator is beneficial because it can provide negotiators for either side with "cover." For example, negotiators on both sides might recognize that a tentative agreement makes sense, but the union negotiators feel that it would be politically difficult for them to bring it to their members. A mediator might examine the proposal and say, "This agreement seems fair, and I want you to present it to the board and union membership. If it’s voted down, then come back." This gives the union negotiators an "out" — the mediator made them do it — if a majority might accept the contract while a small but powerful faction within the union does not. Accordingly, negotiators seeking to break a deadlock based on internal dynamics might see mediation as a good step to take. MERC mediation may be requested by either party at any time. 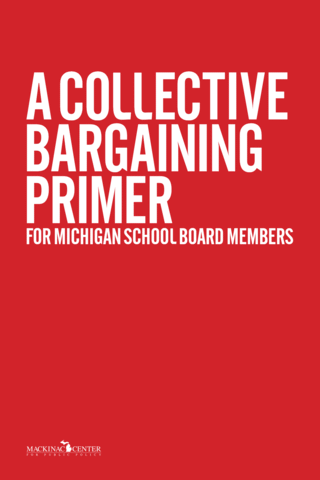 However, PERA requires the school board and the union to notify MERC of the status of negotiations at least 60 days before the expiration date of a collective bargaining agreement. If the dispute remains unresolved within 30 days of expiration of the existing contract, MERC will — on its own motion — appoint a mediator to aid in reaching a contract. This should not be confused, however, with a form of special final mediation which may be sought once both the union and the school board agree that an impasse has been reached. A petition for mediation can also have a significant impact on whether the school board may implement a final offer, as discussed in the section below on impasse.